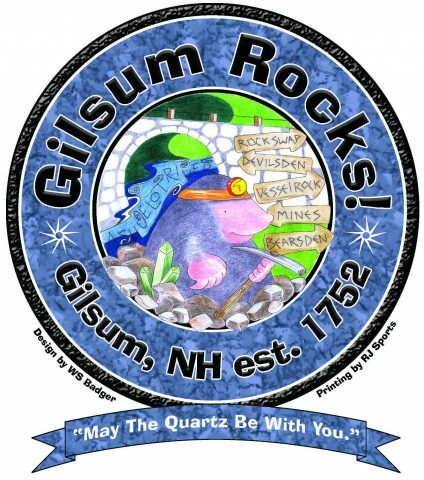 The 55th annual Gilsum Rock Swap & Mineral Show will be held June 22-23, 2019! 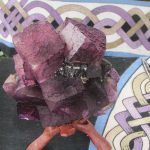 See more than 68 dealers and swappers with gems, jewelry and minerals available for sale or trade in scenic southwestern NH. 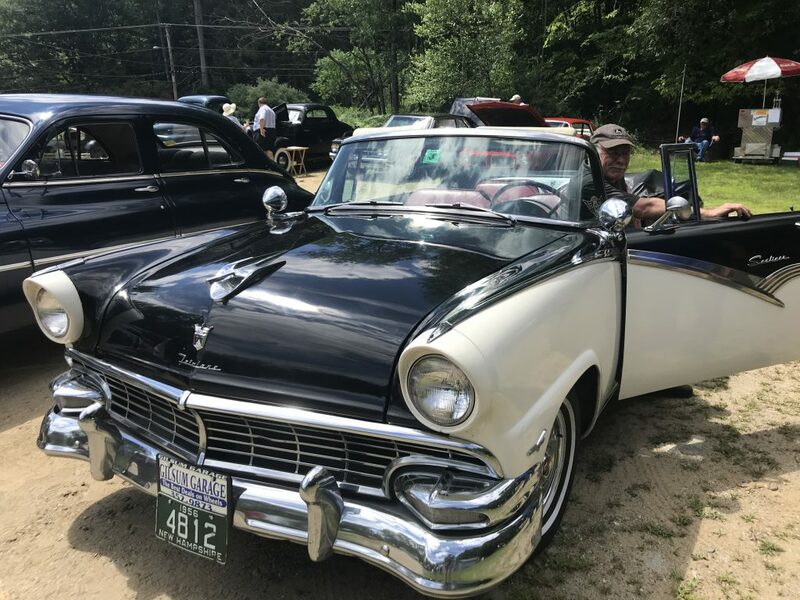 Pan for minerals, enjoy an old fashioned New England ham and bean dinner with home made pies, sit down for a Chicken Barbeque lunch and more. Admission is free, although donations are graciously accepted. All proceeds go to youth recreation and community programs. 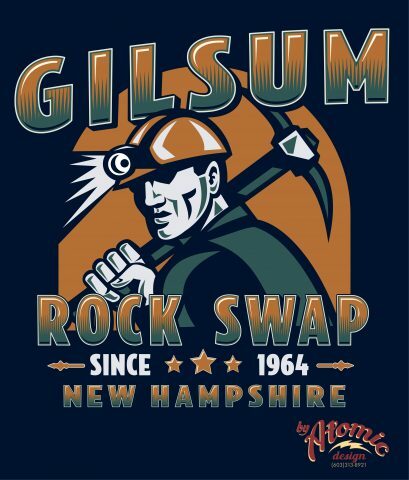 The official 2019 Gilsum Rock Swap & Mineral Show T-shirt is coming. Watch this space. Guess what mineral this is? 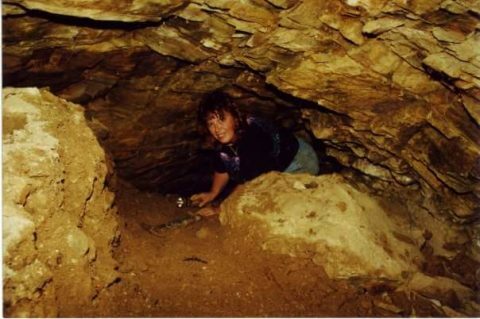 Mineral collector and geologi st Nancy Swing returns again this year with an all-new presentation on Herkimer diamonds, how they form and where to find them in the Northeast. Join Nancy Saturday at 1:00 pm in the Gilsum Elementary School auditorium — and get a free specimen! 4:45 PM: Annual Ham & Bean Dinner with homemade beans and pies! Three seatings beginning at 4:45, 5:45 and 6:45 PM at Gilsum Congregational Church. Tickets on sale at the Rock Swap Central information booth all day and at the church at meal time. 4:00 PM: Show closes – See you next year! Visit us on Facebook at GilsumRockSwap, where you will find photos from last year’s show, announcements for this year’s event and more! 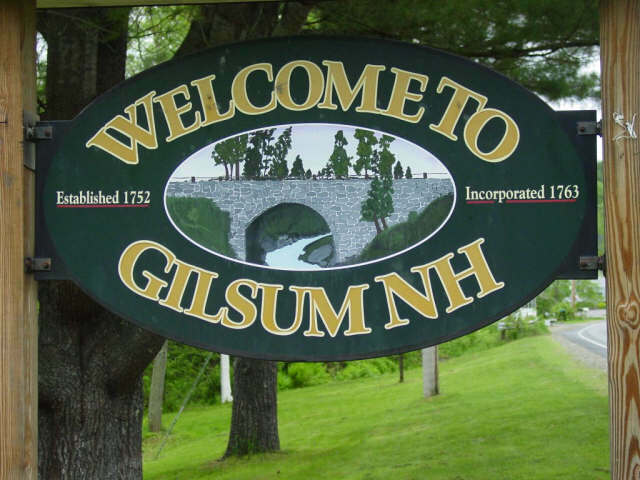 Watch the New Hampshire Chronicle TV episode about the Gilsum show! Location: Gilsum Elementary School and Community Center, 640 Route 10 in Gilsum (just 10 minutes from Keene). This is an outdoor event, under canopies, held rain or shine. For directions click on the Directions menu item at left. Places to Stay: Hotels, Bed and Breakfasts and Campgrounds can be found at this Web site. Gilsum Weather: The Rock Swap goes on rain or shine! Click Weather.com for the weekend forecast.